You don't need to spend a fortune to run a professional website. 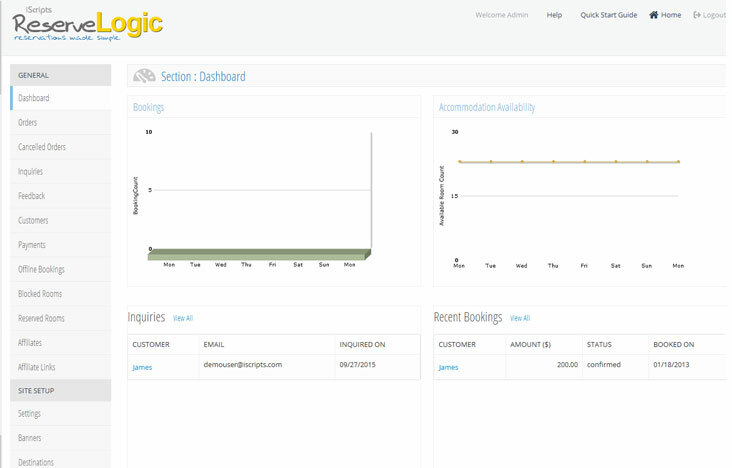 Install iScripts ReserveLogic on a server to build your site on this easily transportable and customizable reservation system. This customizable script comes fully equipped with a number of built-in features that will benefit you, as well as your end users. Advanced Search Functionality - Users can easily take advantage of advanced search options such as filters and Google Maps to quickly find the perfect property or rental. Searches can be conducted based upon desired price, room type, services and city (if multiple locations are featured on the site). Detailed room information, additional services offered, pictures, reviews and pricing are clearly displayed for each listing. Similar listings that match user preferences are displayed to users on listing detail pages. Fast, Easy Booking and Secure Payment - When booking a room or rental, users will use the auxiliary rate calendar. This calendar displays all defined rates for a selected room or rental type throughout the month. After selecting the date(s) of the rental, users will then be required to proceed with payment. You may enable offline payment, or require users to pay online using your choice of major payment gateways already included (Authorize.net,WorldPay, YourPay, PayPal, PayPal Pro, BluePay). 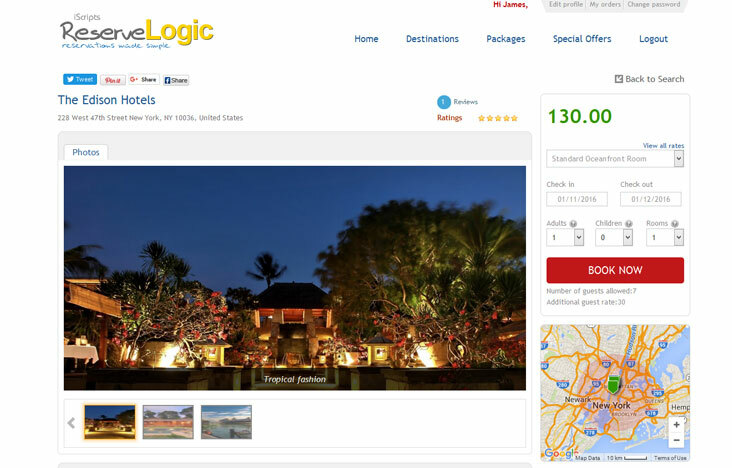 Optional Expedia.com Integration - Expedia.com is the largest online travel company in the world. 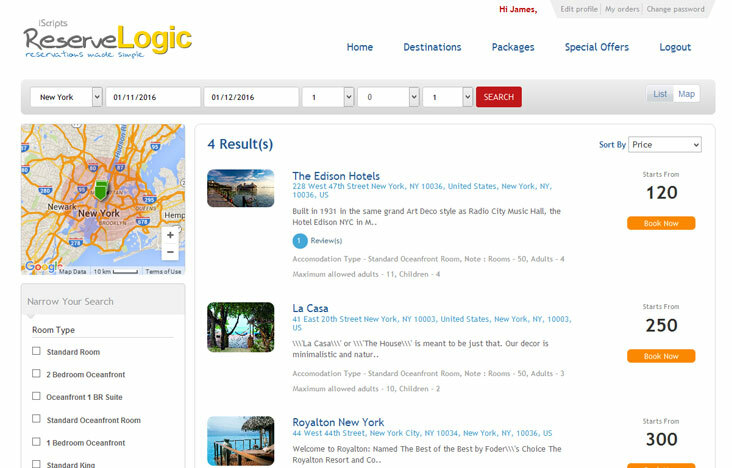 This software has the ability to feature listings pulled directly from the Expedia website. You could use this feature in a number of ways. Run your site solely on Expedia listings, feature your own listings along with those supplied by Expedia, or offer Expedia listings only in the event your rentals do not have vacancy. 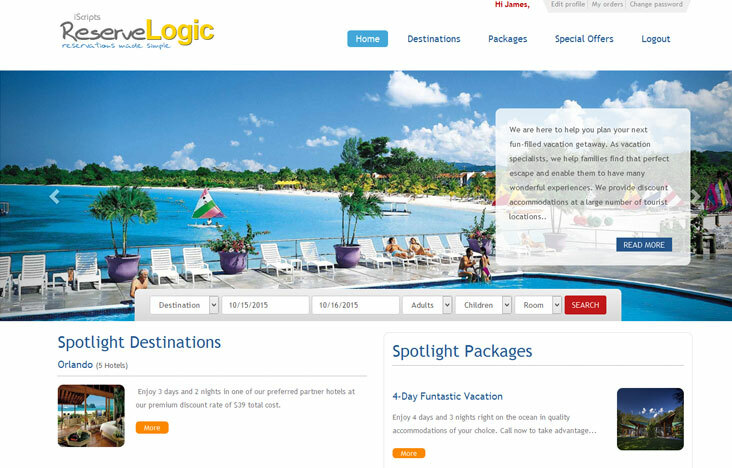 Booking against Expedia listings will be completed through your site. Set up this feature on your site by creating an affiliate account at Expedia.com. Social Sharing and Promotional Tools - Users can easily share pages and listings on your site through social networks such as Facebook, Twitter, Pinterest and G+. Visitors can also view and leave feedback or star ratings for each listing. As the site administrator, you have the ability to offer special seasonal rates and discounts on group purchases. For further promotional potential, take advantage of the built-in affiliate module which allows a user to sign up and receive a commission by forwarding business to your site. Comprehensive Site Management - Stay current with the activity of your site by using advanced management features such as listing and inventory control, exportable and detailed reports, multiple admin and sub-admin creation and privileges, group bookings and a data listing widget for publishing listings in external websites. Responsive Site Design - Responsive site design provides same user experience to all users from different devices. This increases the reach of your site along with helping you with better page ranks in search engines. Embed Code - You get the power to embed the booking engine to any running websites and reap the benefits of impulse marketing. It not that technical, all you have to do is copy and paste the code to your website to display the booking engine to your users. Choose Your Site Theme, Pictures and Copy- Dynamic layouts and theme are included in the software. Choose the theme that best fits your site while using the CMS (content management system) to edit all text and copy on static pages. Edit the home page sideshow using your own images. Choose Your Site Mode- The online reservation software supports multiple modes for single properties, multiple properties, and multiple destinations to meet your online booking needs. Choose Your Reservation Mode- Set reservations to process with or without advance payments. Set these by exact amount or by a percentage rate. Edit Cancellation Procedures- Users may cancel the booking at any time. 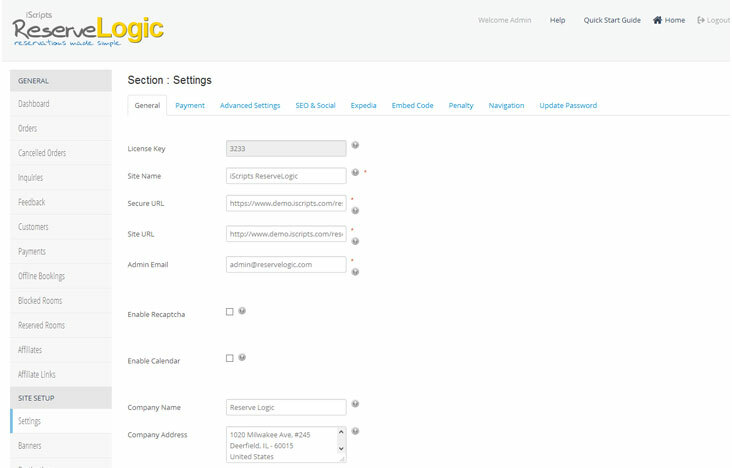 You have the option to charge cancellation penalties. 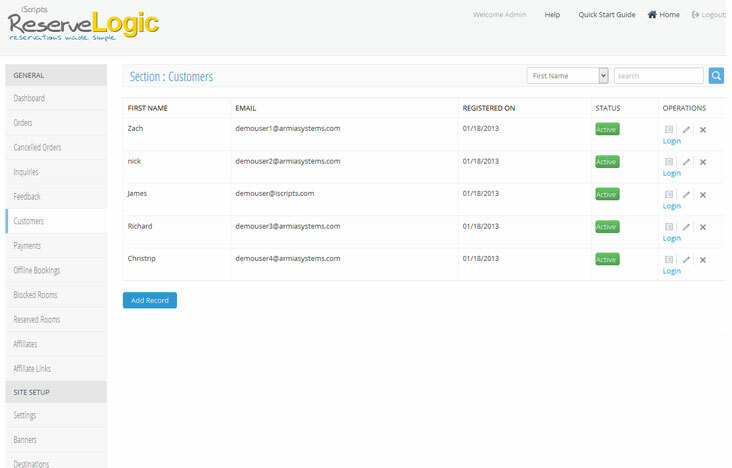 Opt to Accept Phone Orders- Manage offline booking and phone orders easily in a single step. Offer Seasonal Rates and Specials- Increase rates for weekends, holidays and more. Choose Your Currency- Set the currency of business matching your operating market. This helps you reach the local market efficiently.